Father's Day is the day we all get to thank our Fathers for all the wisdom and life lessons they have taught us. A Father's love is unconditional and one that I won't forget. 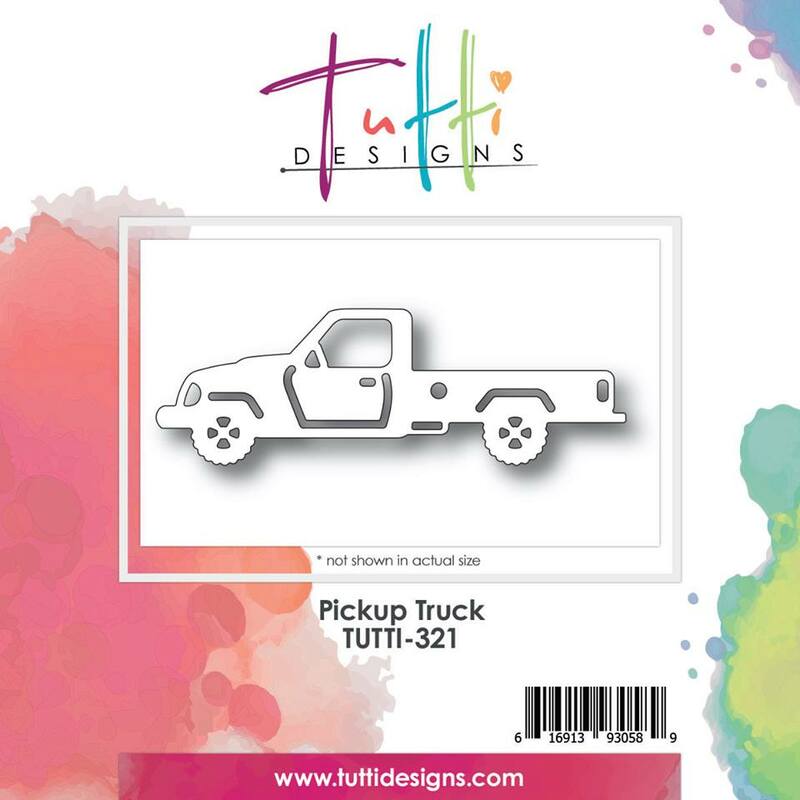 Tutti Designs just released some of the best dies for Father's day, these dies will be some of the most used in your collection. Tutti Designs has some of the best dies around so be sure to check them out in the store! This Pickup Truck die is exceptionally fun as it can be used for any occasion. I used an embossing folder on the card base. I die cut the Pickup Truck Die from black card stock and adhered it to the card leaving room at the top or bottom for the sentiment. Add some metal gears and your sentiment and your card is finished! Fantastic! Great masculine card! I adore that pickup truck, so fun and fab! The gear accents are so perfect! Very manly! What a fabulous 'guy' card from the colors you've used to the gears to accompany this fabulous Truck die! Great inspiration ... thanks!